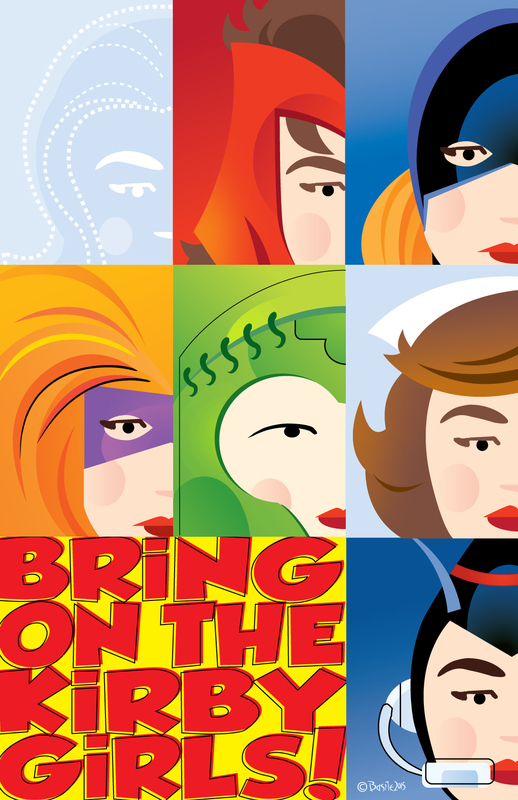 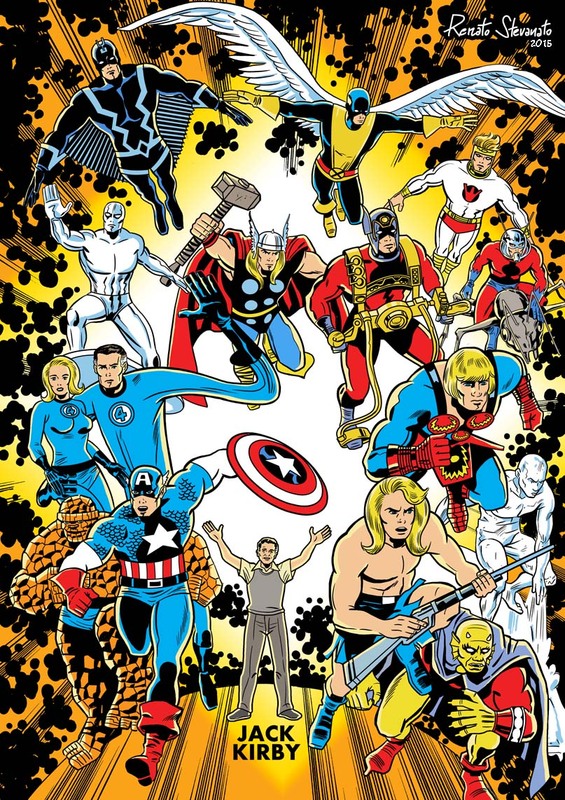 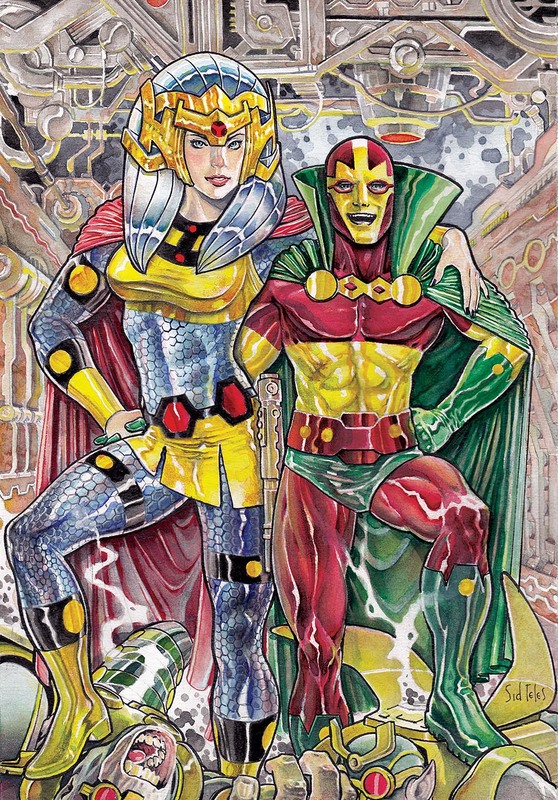 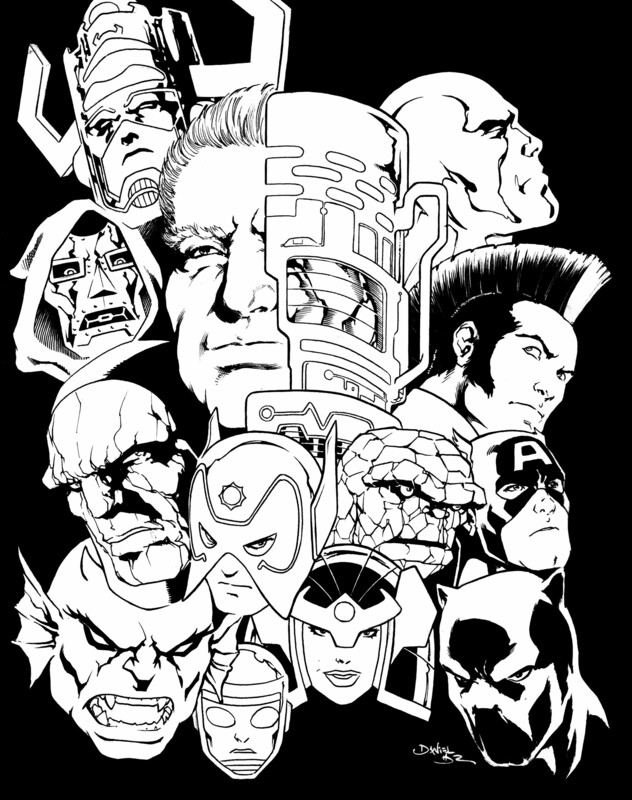 Posted December 21, 2015 in Black Bolt, Doctor Doom, Jack Kirby, Jane Foster, Jeremy Landis, Jim Stewart, Marc Basile, Marvel Girl, Medusa, Rick Baiker, Rusty Gilligan, Scarlet Witch, Susan Storm, Tana Nile, The Wasp. 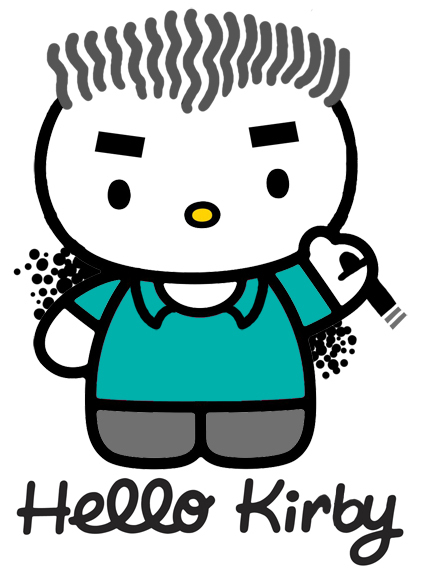 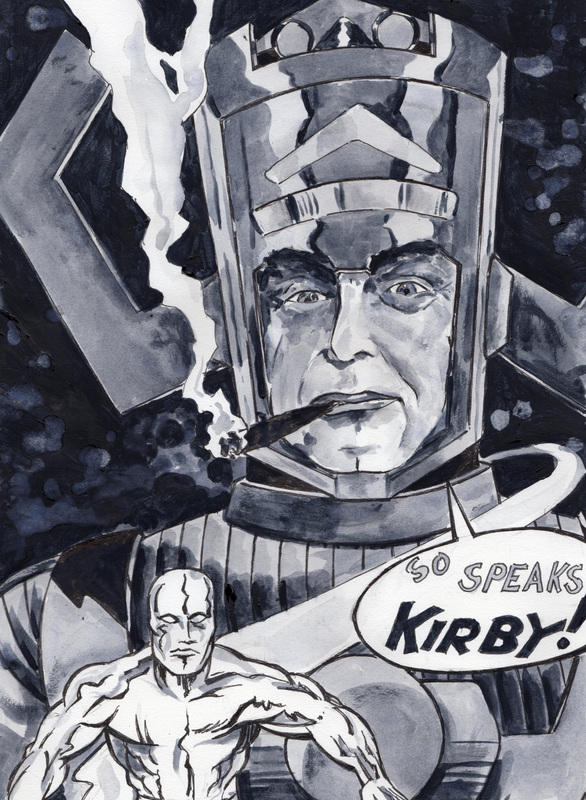 Kirby-Vision would like to wish each and everyone of our readers the very best for the holiday season. 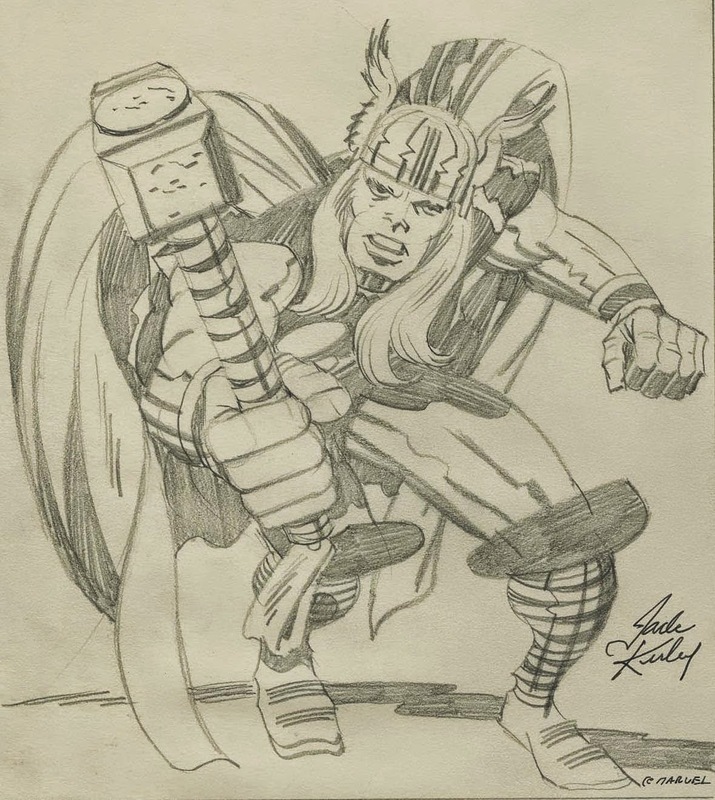 To celebrate, and to take us into the new year, we’d like to present a mini-gallery of Kirby inspired creations for your enjoyment. 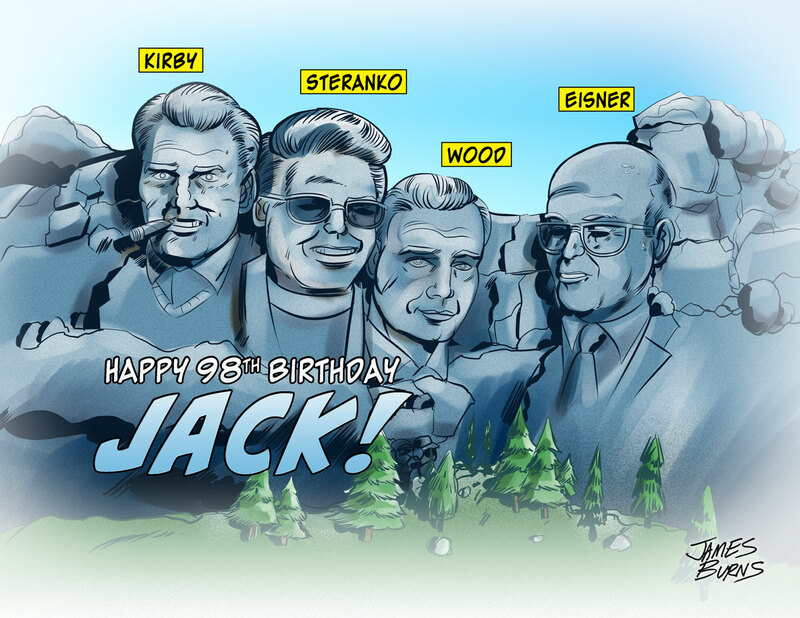 Happy Holidays folks! 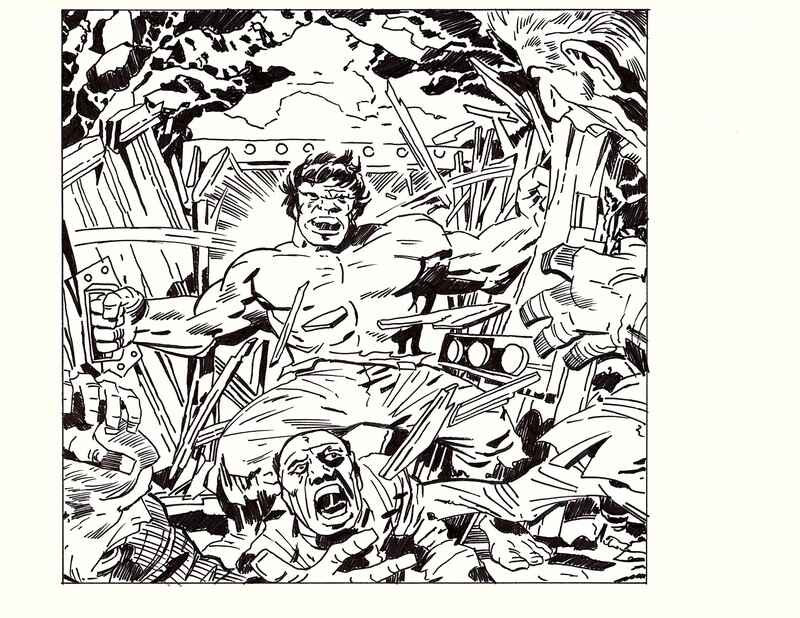 Posted August 19, 2015 in Rick Baiker, The Hulk. 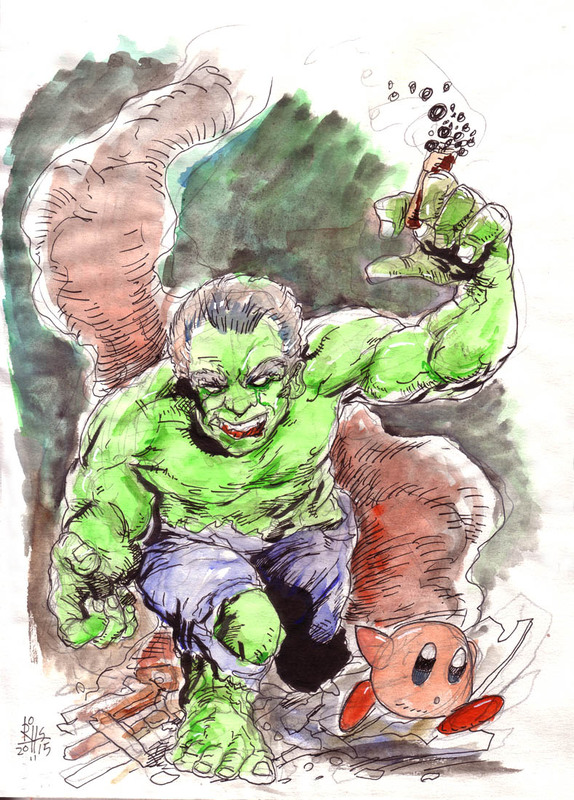 The Incredible Hulk – courtesy of Rick Baiker. 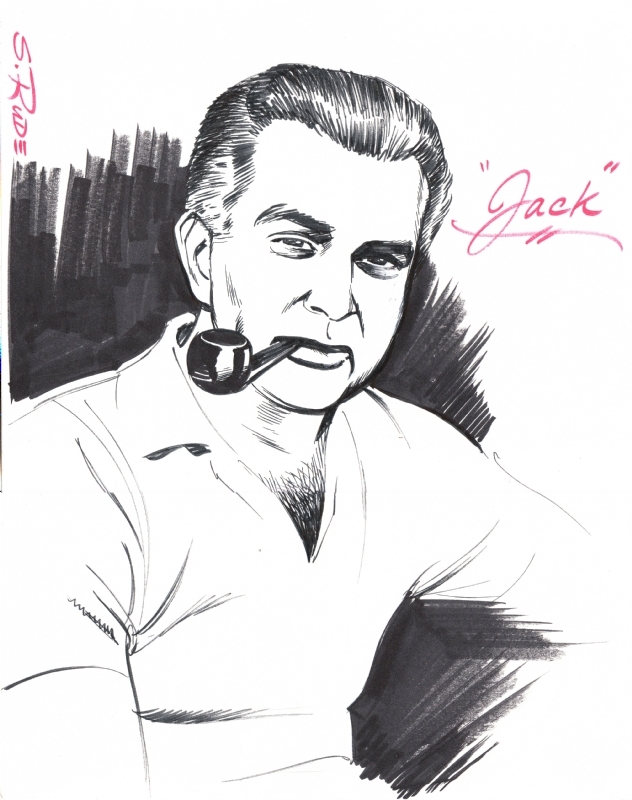 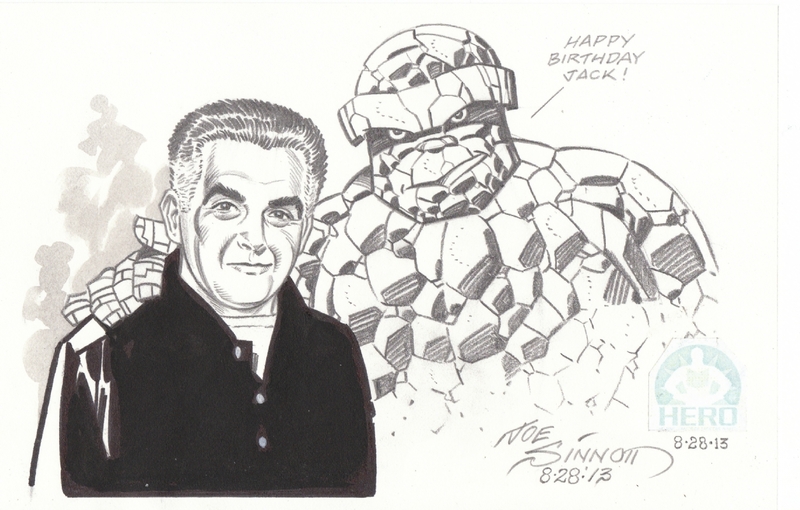 Rick writes: “I’ve been having fun inking Jack with a simple fine point marker. 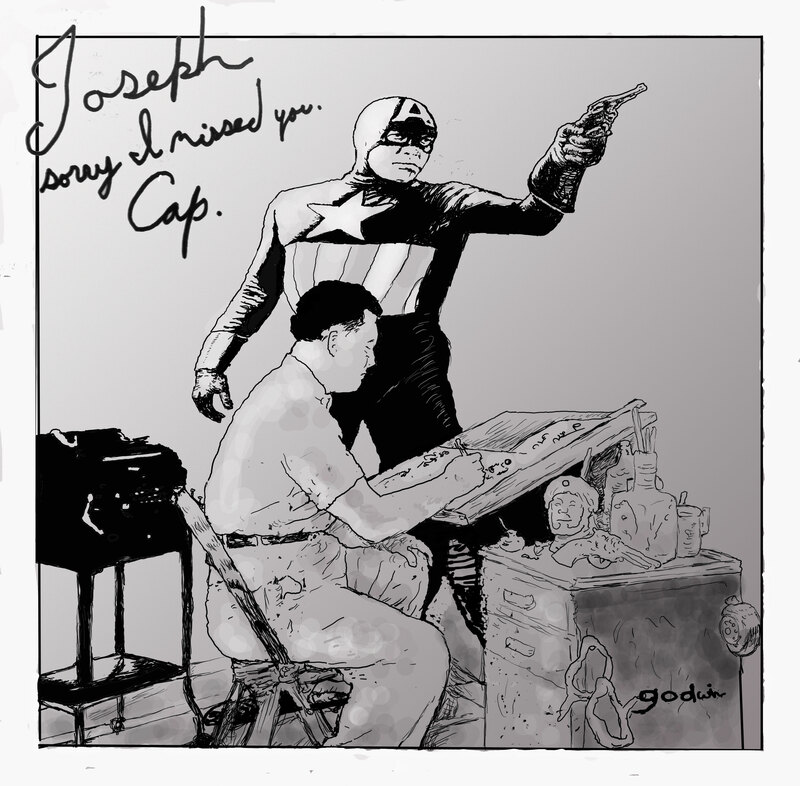 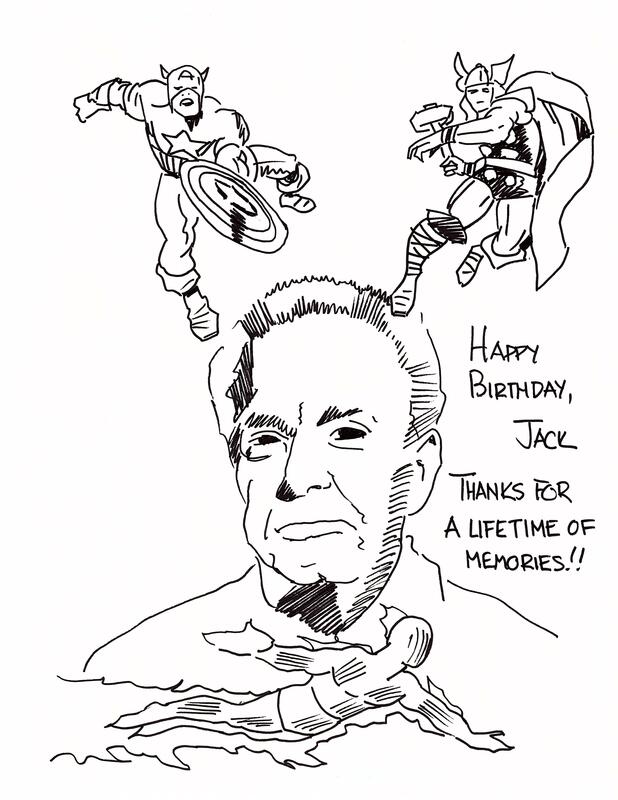 It really makes me appreciate the work Jack’s classic inkers have brought to his work. 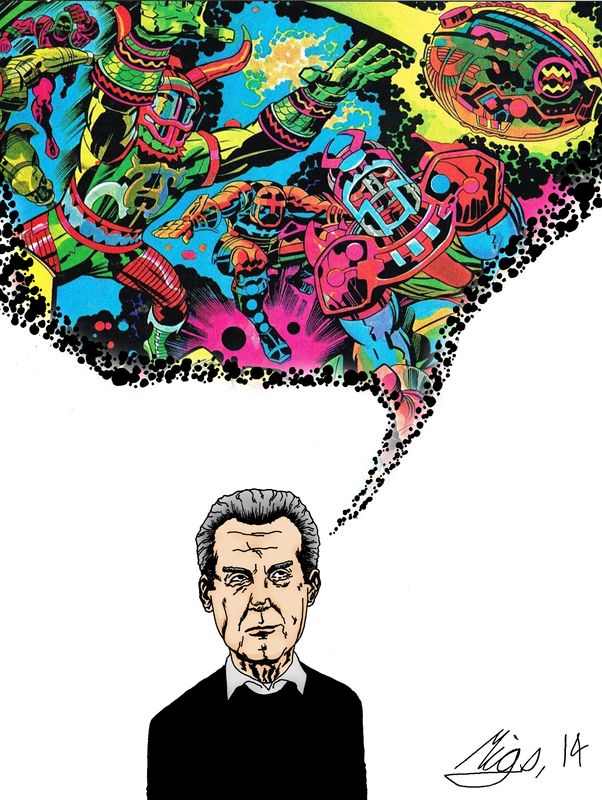 Even Vince. 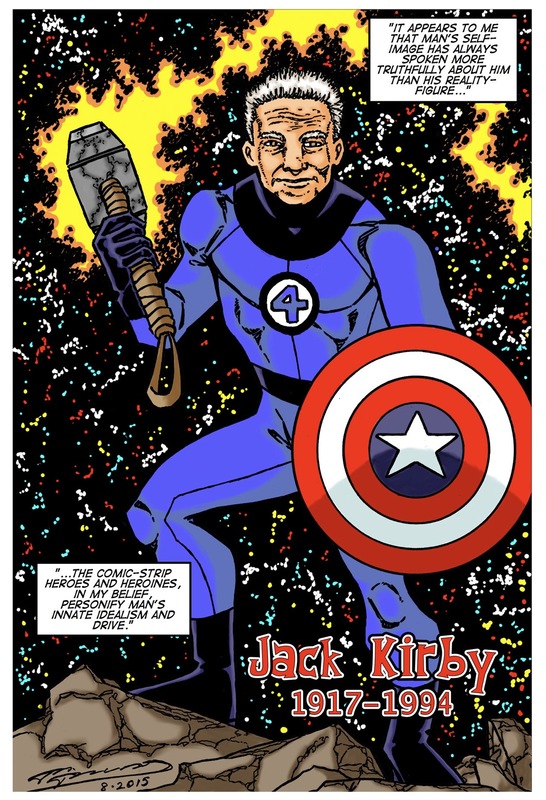 He has a very deft touch at feathering some of Jack’s hard line. 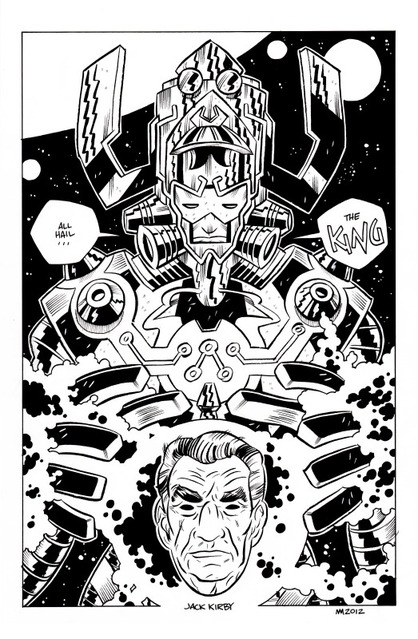 Excellent brush technique. 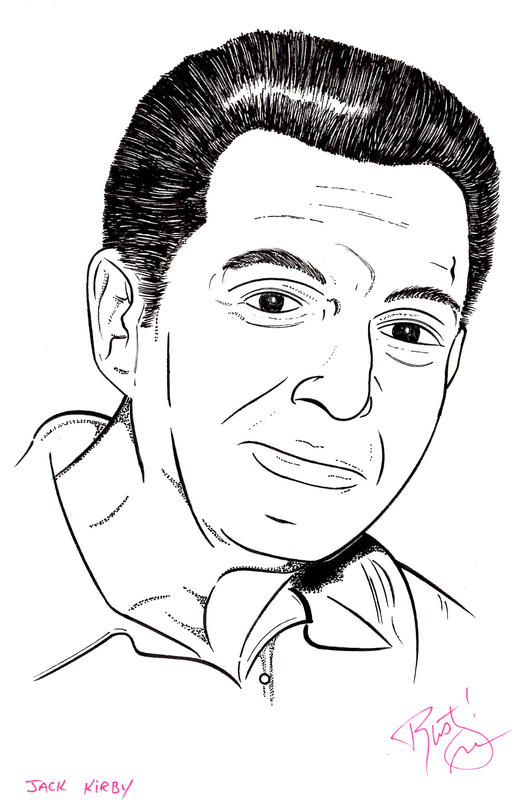 Keep in mind this is from a scan on an 8 1/2 x 11 piece of paper. 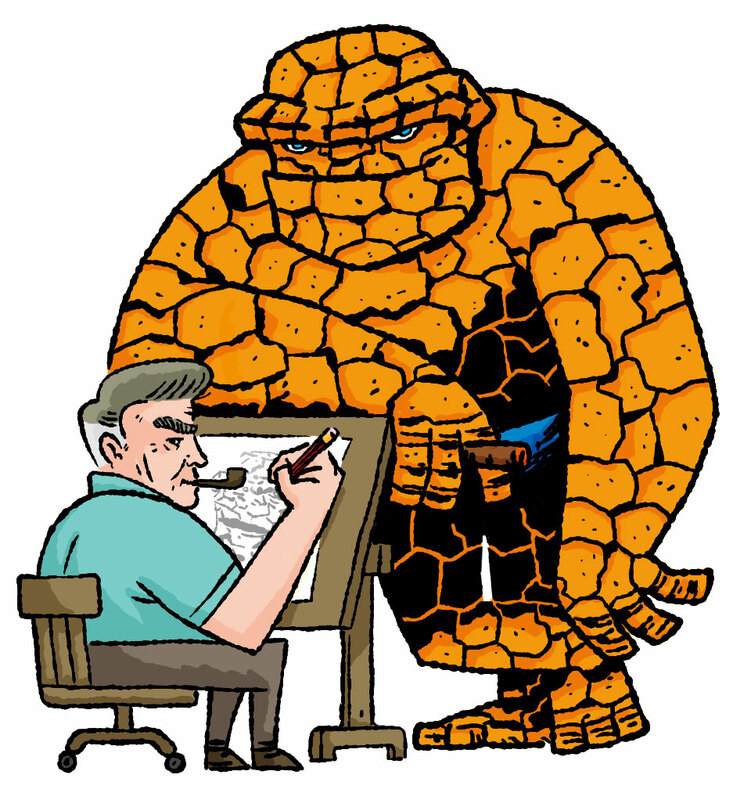 Would like to try it in original size some day”. 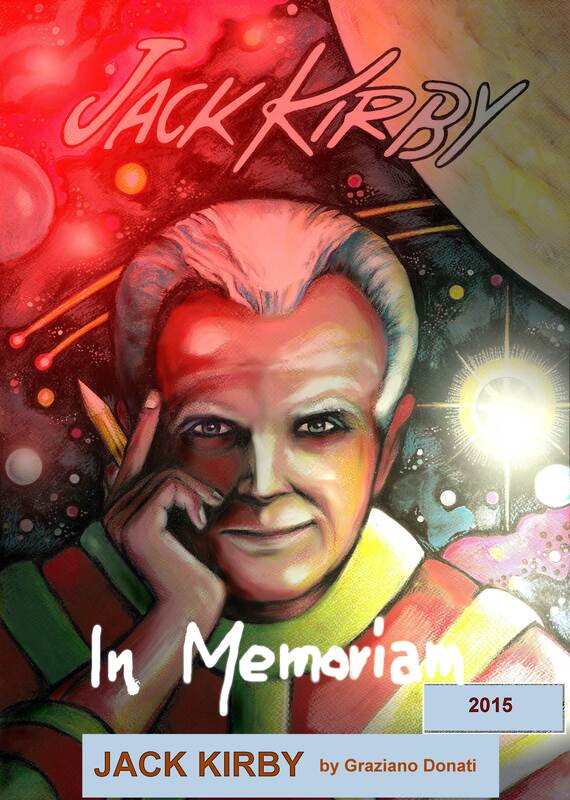 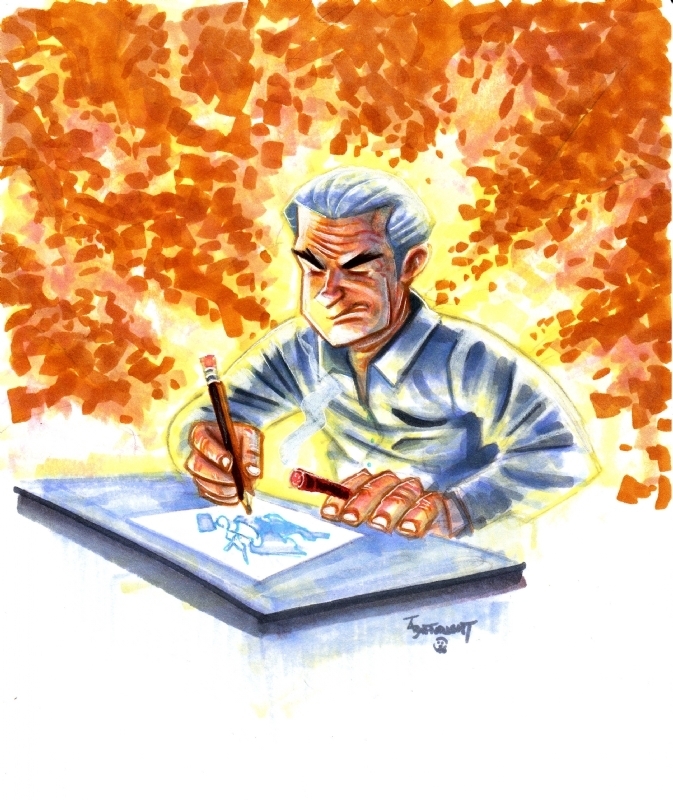 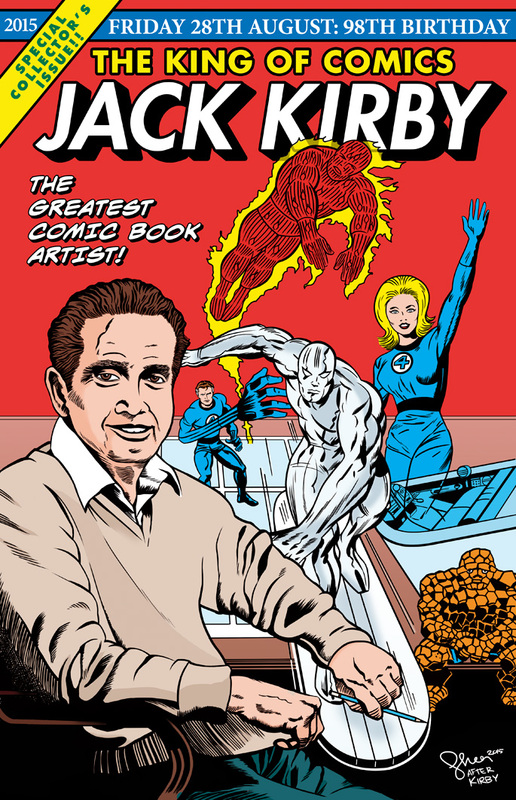 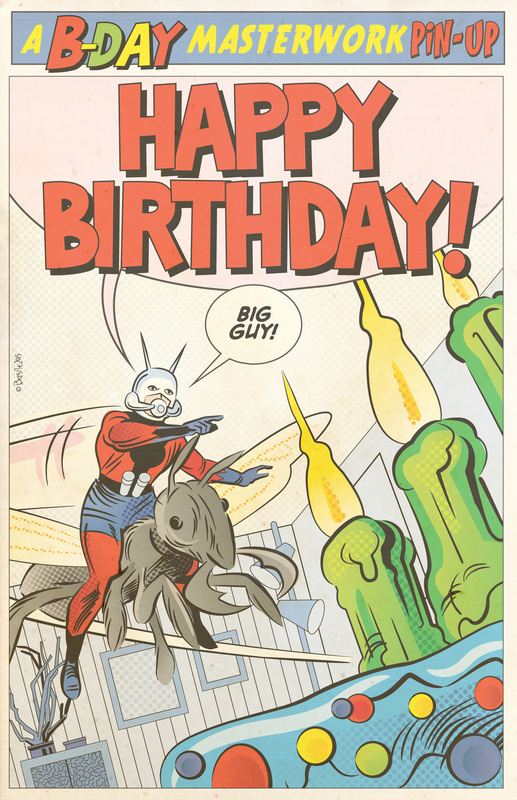 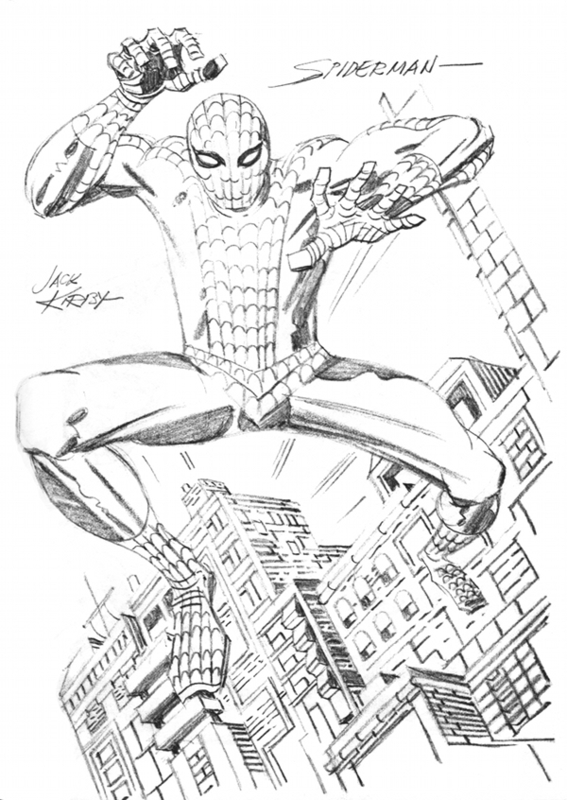 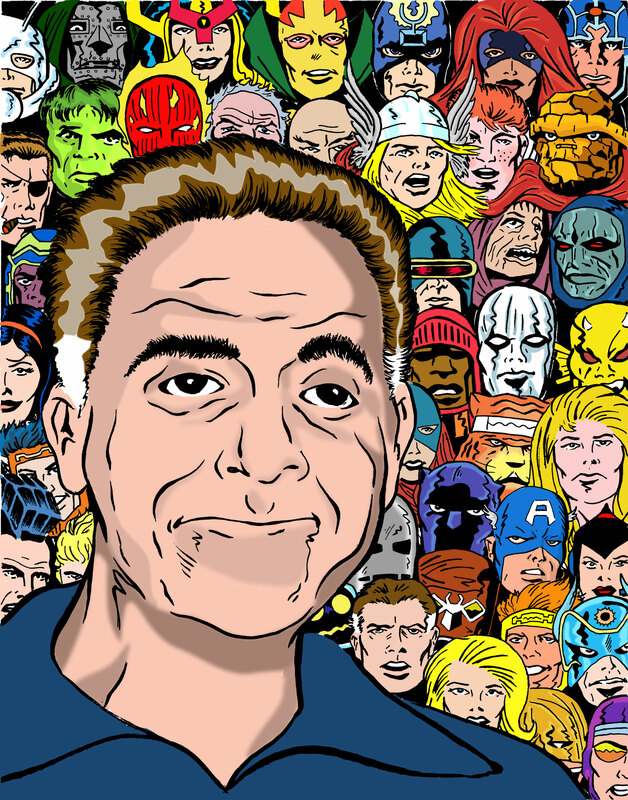 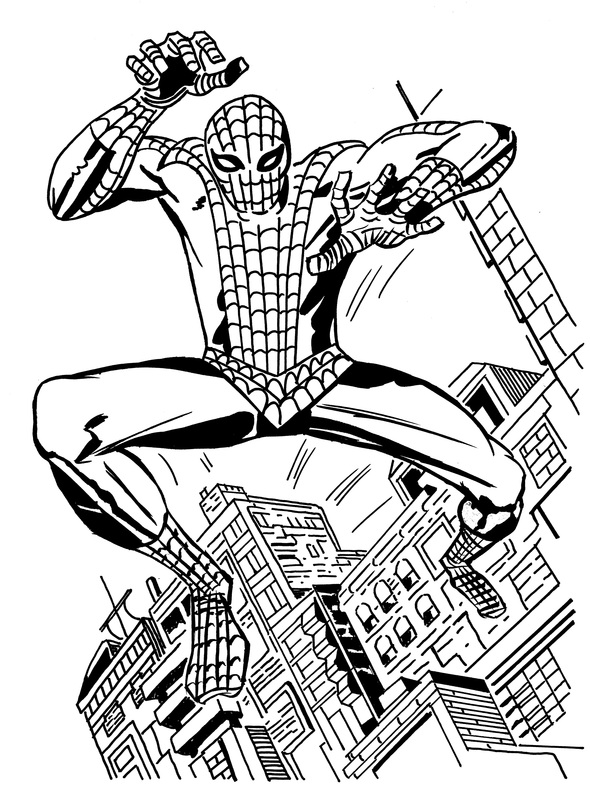 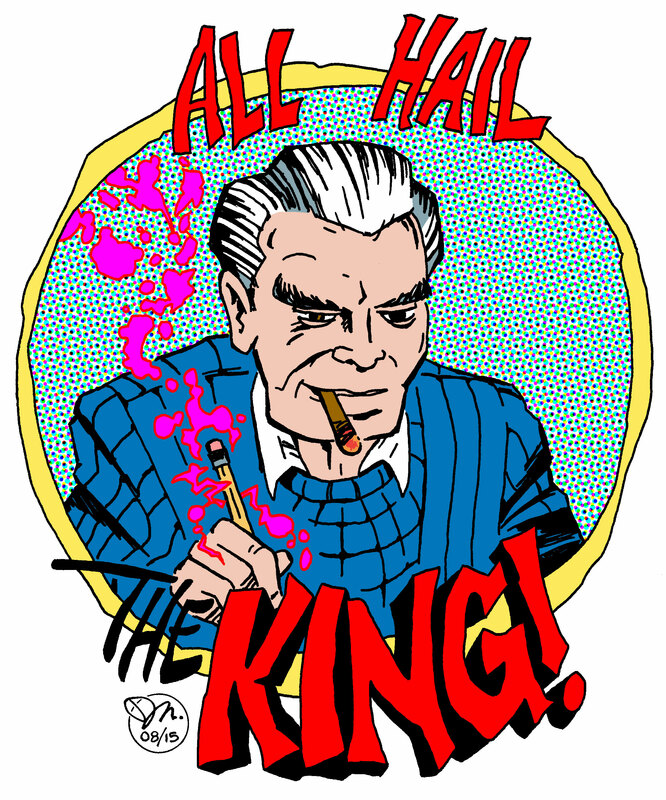 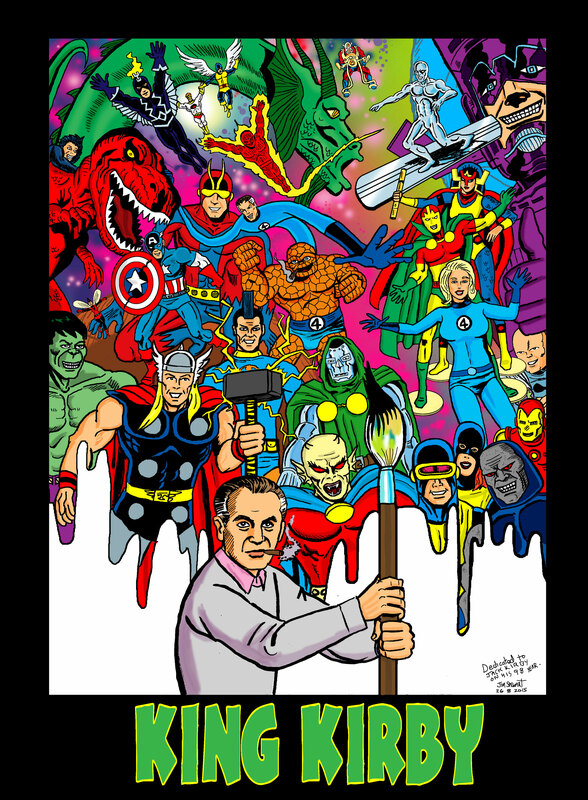 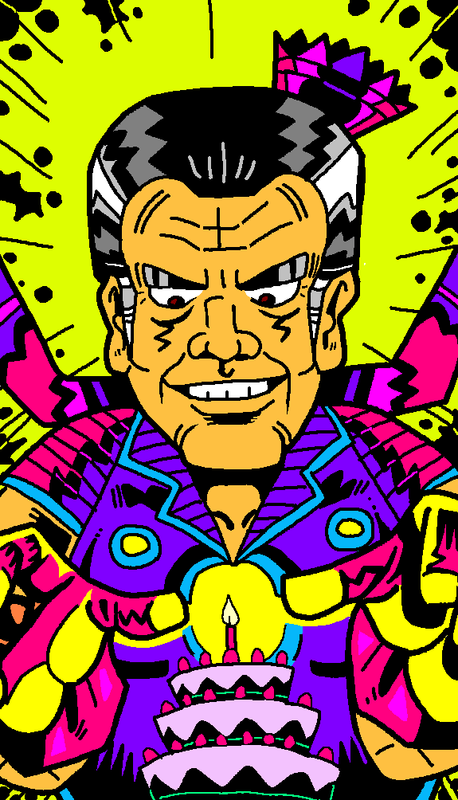 Posted February 23, 2015 in Jack Kirby, Rick Baiker, Spider-Man. 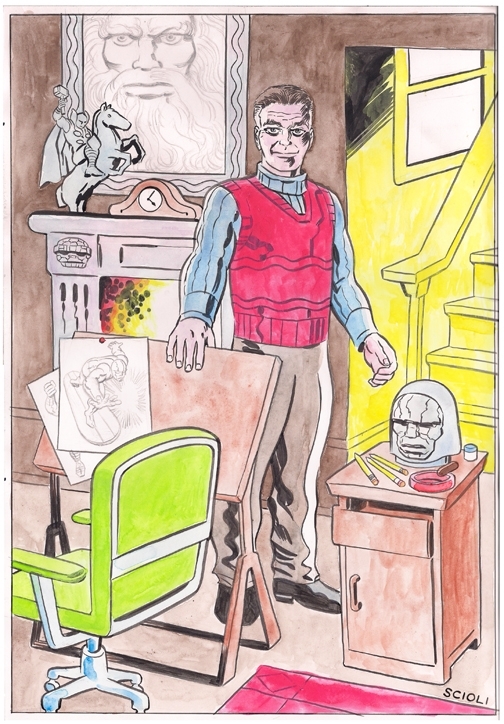 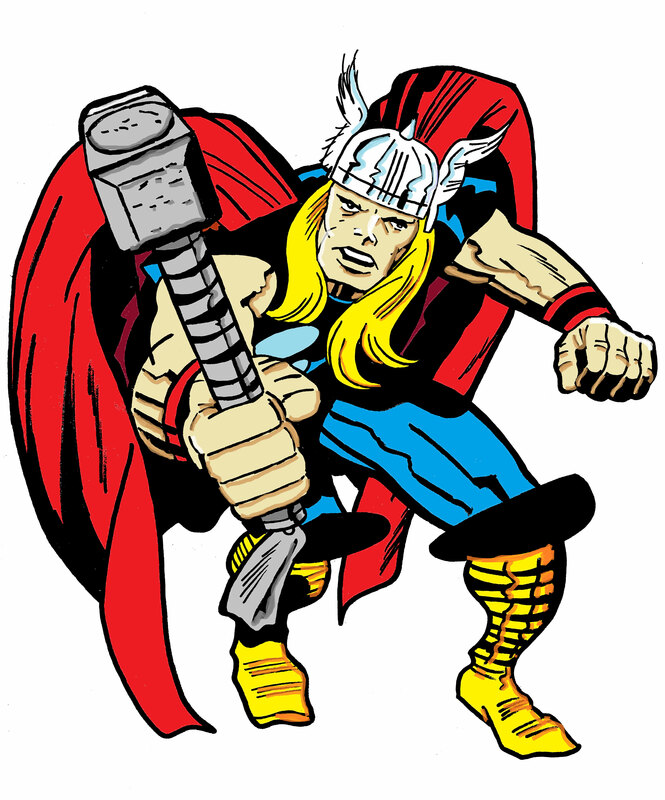 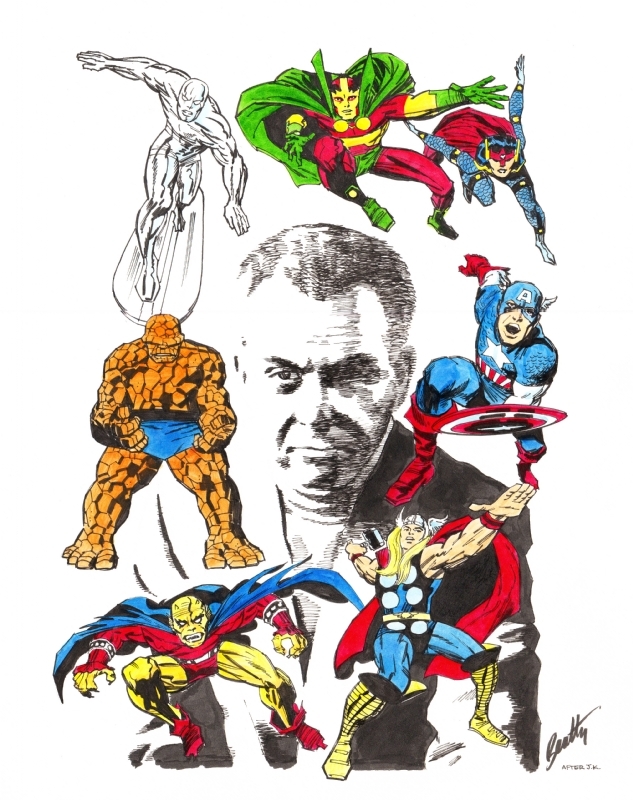 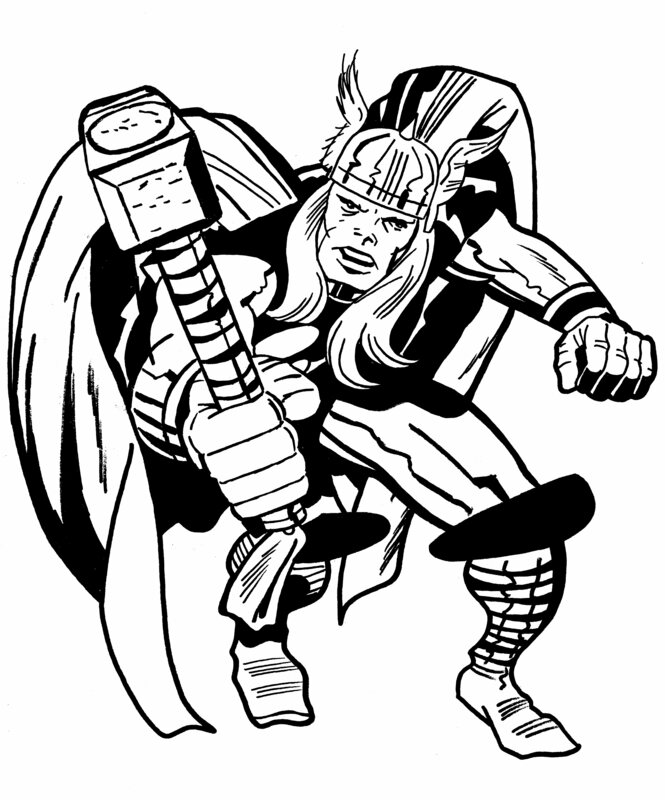 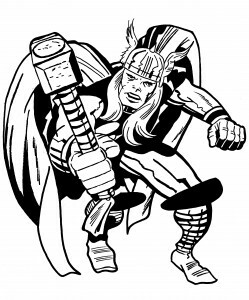 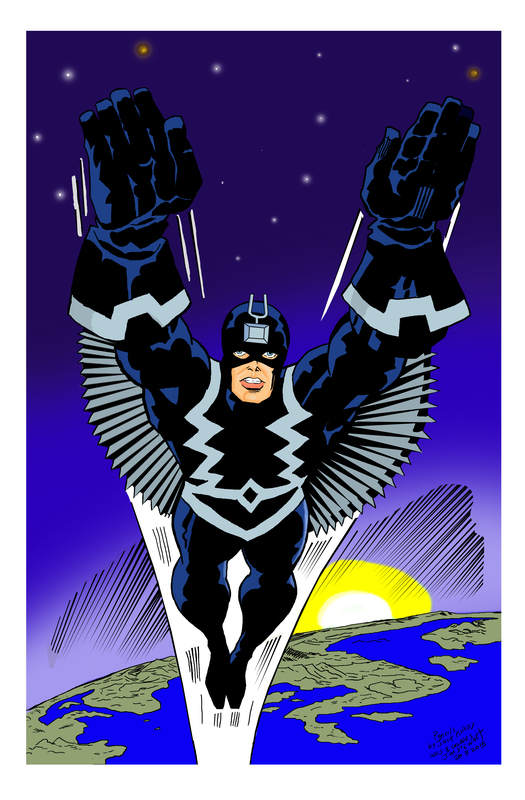 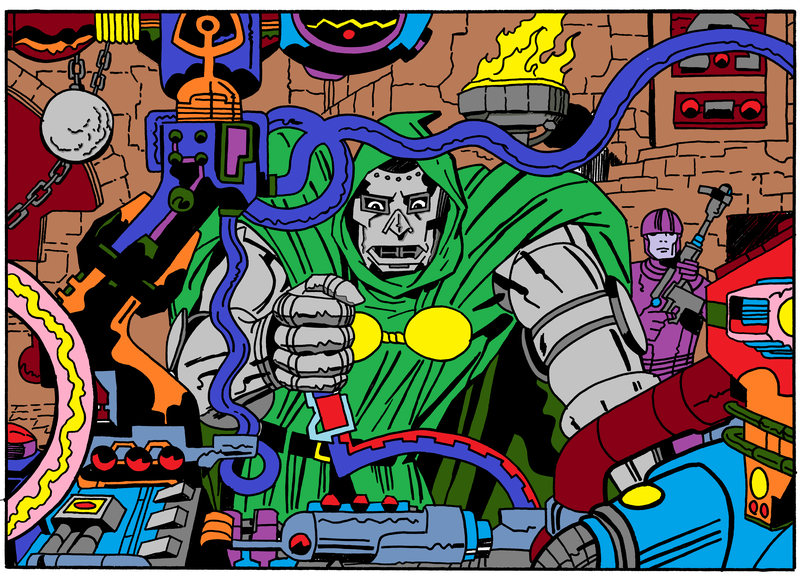 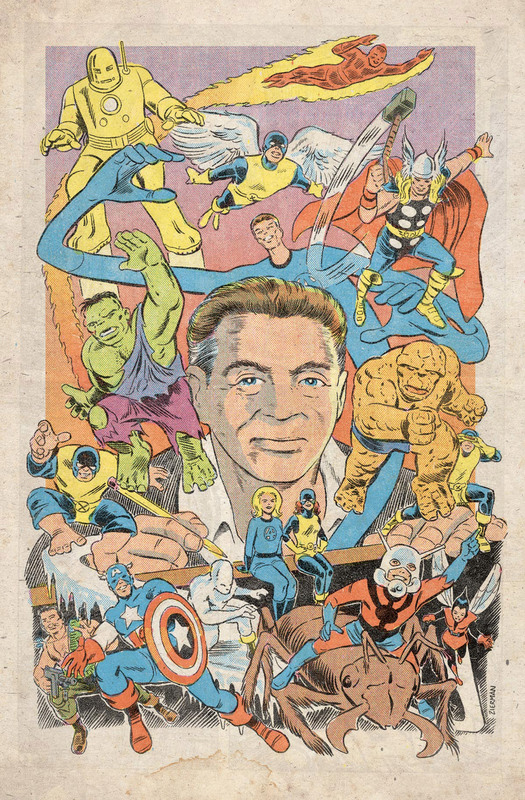 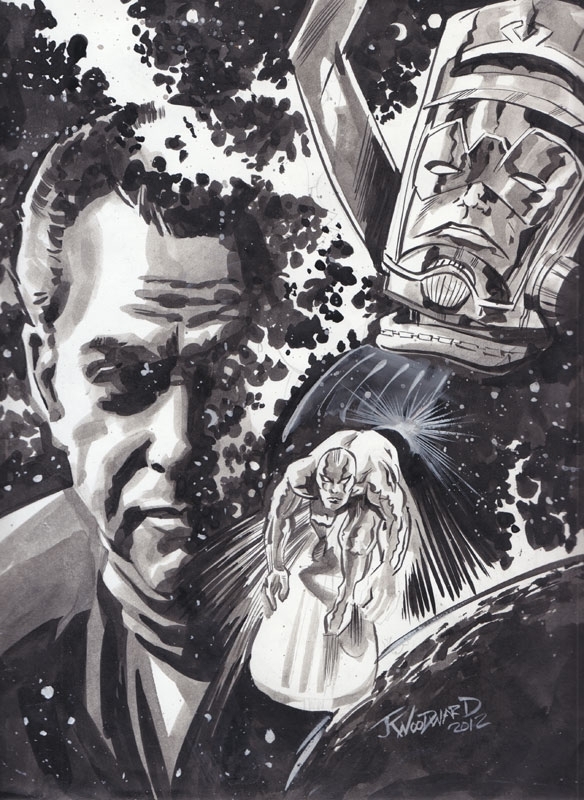 Rick Baiker inks original Kirby pencils.